Remove the parts in the numerical order shown in the figure. Take out the fluid with a syrige or such. 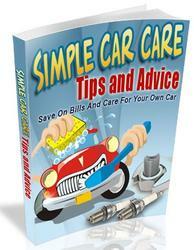 Do not allow any brake fluid to get on painted surfaces. 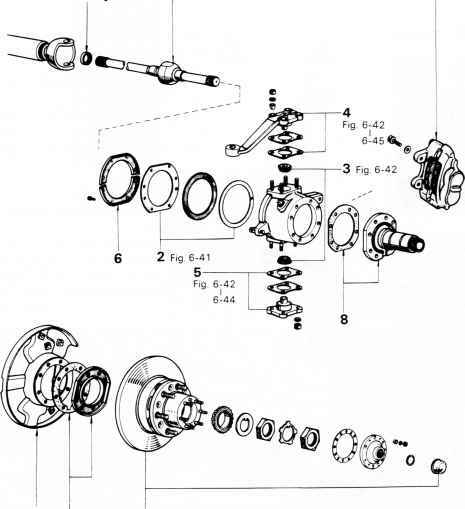 Disassemble the parts in the numerical order shown in the figure. 01. Place matchmarks on the front body and rear body. 2. Pry out the lock with a screwdriver. 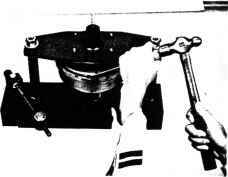 Tighten the left and right nuts uniformly. 0 Remove the body connector by turning it counterclockwise with a screwdriver. 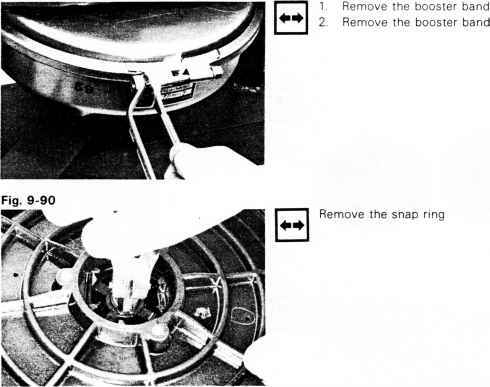 Remove the snap ring and plate with snap ring pliers. 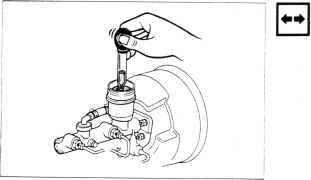 Pry out the circular ring with a screw driver and pull out the air valve together with the air filter elements. Inspect the disassembled parts on the following points and repair or replace if necessary. 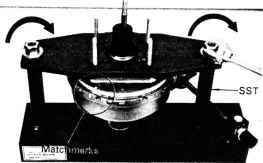 Inspect the diaphragm and booster piston for wear, damage or cracks. Inspect for wear, damage or bending. Inspect the booster bodies, seal and bearing for wear or damage. 1. Remove the seal from the shell by prying. 2. Install a new seal. 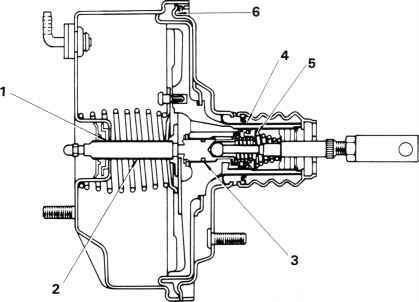 Check the operation of the valve. Assemble the parts in the numerical order shown in the figure. Before assembly, coat the parts shown below with silicon grease (furnished in repair kit). 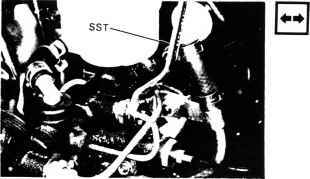 0 Install the retainer by turning the SST about 45°. 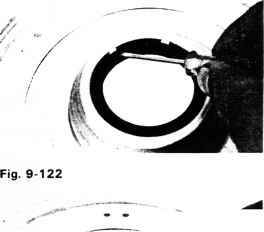 Install the snap ring onto the air valve. 0 Install the reaction levers and plate with its protrusion directed upward. Face the body connector in the direction I \ shown in the figure. 1. Align the matchmarks on the body. 2. Tighten the left and right nuts evenly. 0Turn the body connector clockwise with a screwdriver. Remove the retainer and filter elements with a screwdriver. A Place matchmarks on the front and rear body, and fix to the SST. 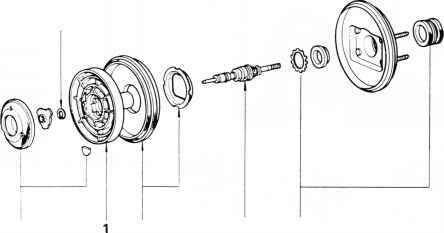 Inspect the disassembled parts on the following points, and repair or replace parts if necessary. 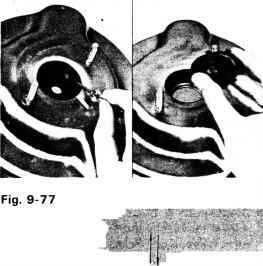 Inspect the diaphragm and diaphragm plate for wear, damage or cracks. 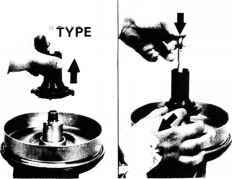 Inspect the valve operating rod for wear or damage. Inspect the seals for wear or damage. Remove the seal from the shell. Install the new seal. Remove the bearing from the shell and install a new bearing. 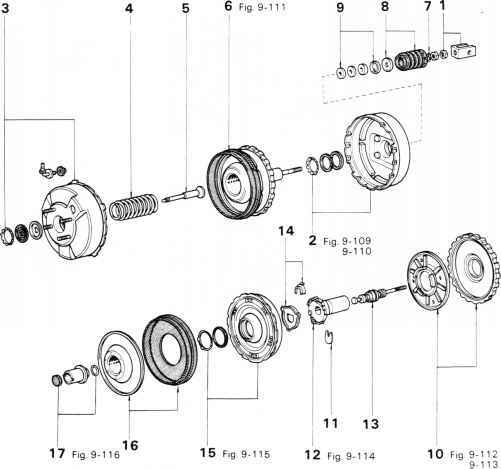 Assemble the parts in numerical order shown in the figure. 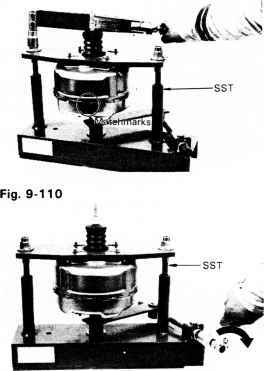 Install the retainer by turning about 45° with SST. Install the plate and snap ring onto the valve operating rod. 1. 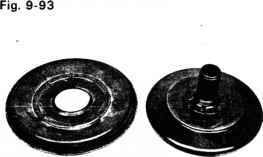 Place matchmarks on the No.1 and No.2 body. 2. Install the booster to the SST and tighten the nut. Tighten the right and left nuts evenly. 3. 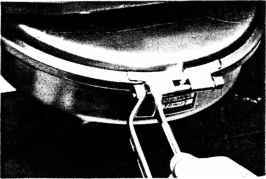 Turn the joint handle of the SST to separate No.1 body and No.2 body. 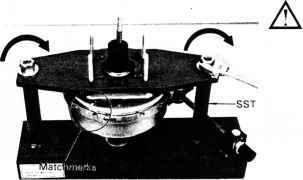 With the valve operating rod facing downward, No.2 body and remove the No.3 body. 4. Remove the No.3 body. 3. 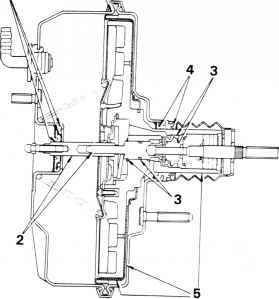 Push in the valve operating rod, pull out the valve stopper key and remove the piston No.1. Remove the reaction disc from the case. 2. 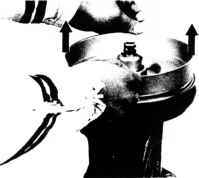 Of the 4ribs, push in two diagonal ones with your finger and turn the piston plate counterclockwise. 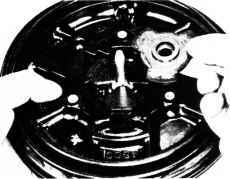 Then remove the diaphragm and piston plate. Inspect for wear, damage or cracks. 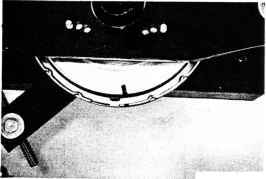 Inspect the diaphragm No.2 piston and oil seal for wear, damage or cracks. 1. Coat the outside of the oil seal with silicon grease. 2. Be careful not to crack the bearing during assembly. 1. 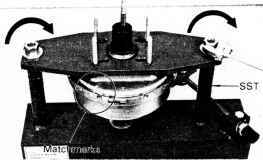 Remove the circular ring and seal from the No.3 body. 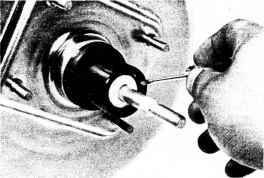 Install a circular ring into the No.2 piston. Inspect for wear, damage or bend. Inspect for scratches, cracks or deformation. Inspect for wear or damage. Where is the brake booster hose located on a toyota camry? 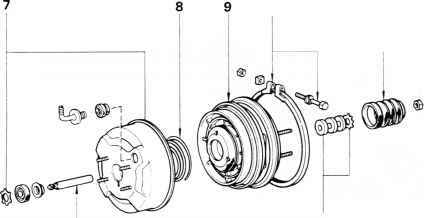 How to remove brake booster toyota land cruiser? 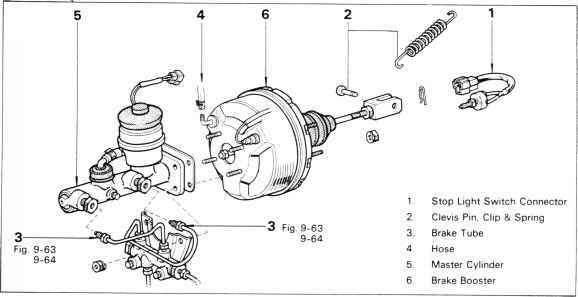 How to fix 92 toyota landcruiser brake booster? 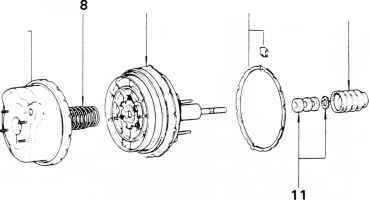 How to adjust brake booster push rod? 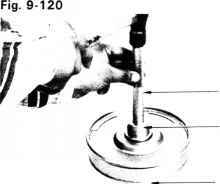 How to remove the brake booster on a landcruiser? 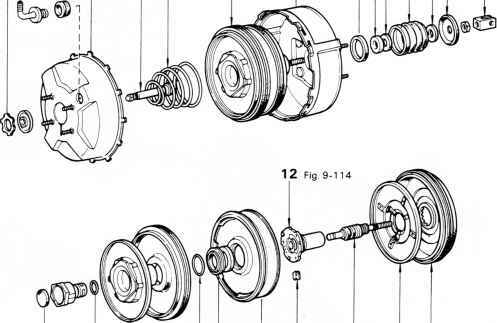 How to replace 1991 toyota land cruiser brake booster? 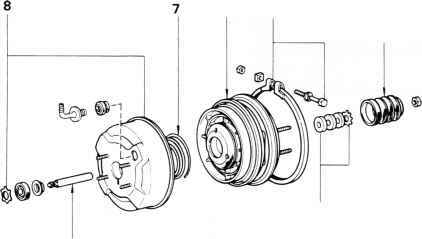 How to install brake booster, 1995 toyota land cruiser? 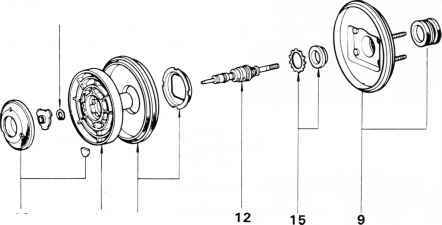 How to fix air diaphragm for land cruiser? 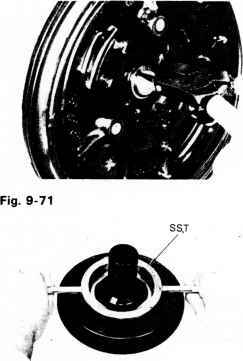 How to repair a toyota corolla 1985 brakebooster?